A 26-year-old Katy man charged with capital murder was among four arrested during an armed home-invasion last week after a neighbor reported a burglary-in-progress in his Aldine-area neighborhood, according to the Harris County Sheriff’s Office. Marcelino Osuna, of Katy, was out on $150,000 bond for the horrific January murder of Jesus Leal Valdez. 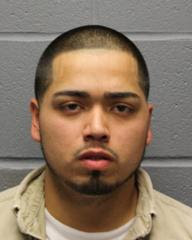 Osuna’s accomplices in the home-invasion included: Ruben Moreno, Jr., Michael Alvizio, and Karina Betancourt. All four suspects were arrested and charged with aggravated robbery with a deadly weapon after HCSO deputies caught them red-handed inside the victims’ home in the 4800 block of Hollybrook Lane. On Tuesday, Oct. 14, HCSO deputies quickly responded to the house after a neighbor saw the armed suspects force their way into the residence. According to the deputies the suspects had held two women and several children at gunpoint inside the house. Police said that no one was injured during the incident. 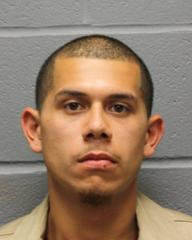 In the murder case of Valdez, Osuna and his brothers Steven and Richard Osuna allegedly stabbed the victim to death during a set-up robbery, according to Harris County court records. The suspects plotted to lure Valdez, of Pasadena, to a home at 5211 Mohawk by using a female accomplice, Veronica Muniz, to pose as a potential car-buyer over the phone. “Muniz admitted to police while in custody that she and the Osuna brothers, all conspired to call the victim and lure him to a meting so that theycould rob him and hold him for ransom from his family,” court records show. Muniz admitted that she called Valdez from her cell phone and asked to meet him for the sale of of his car, knowing that it wasn’t true. Muniz further stated that the suspect arrived in his own car, and was then lured to Steven Osuna’s house at 5221 Mohawk, which is just a few miles from where the home-invasion occured. Once there, Valdez was beaten and stabbed to death and robbed of $300. Muniz stated that Valdez’s body was buried in the backyard under a chicken coop and his vehicle was cut into pieces with a blow torch. 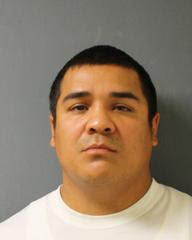 Marcelino Osuna is back at Harris County Jail with no bond.